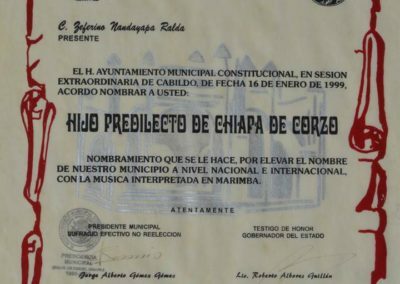 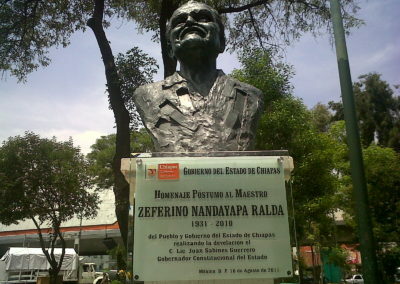 Zeferino Nandayapa, was born on 26 of August 1931, in Chiapa de Corzo, Chiapas, land of marimbas and cradle of high-level and worldwide recognized performers and composers. 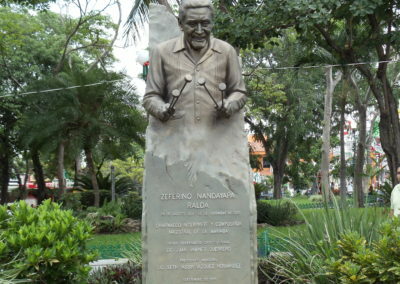 At the age of seven, Zeferino received his first music lessons from his father Norberto Nandayapa (1900-1956) and later began to demonstrate his skills to the interpretation of different style melodies in the marimba. 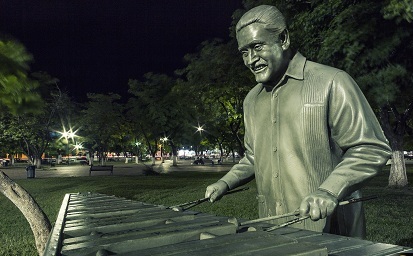 In spite of his young age, formed his child marimba group called “Los Muchachitos” playing in popular festivities. 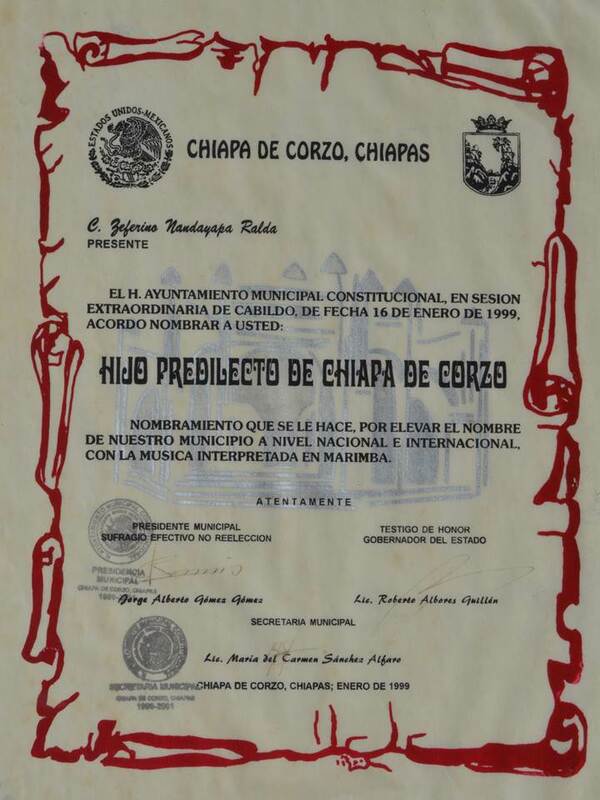 Years later became director of several marimba bands in Chiapas and Veracruz, also started learning other musical instruments. 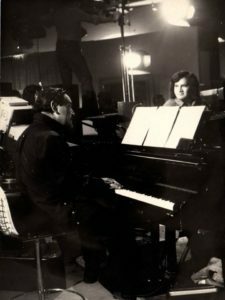 In 1952, when he was 21 years old, he moved to Mexico City to attend the National Conservatory of music, to study piano and conducting. 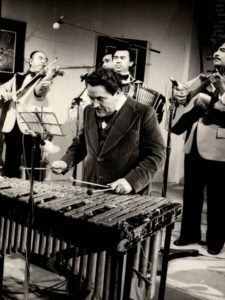 In Mexico City, he became very popular as a recording session artist and guest musician at the national radio “XEW”, performing marimba, vibraphone, accordion, piano, trumpet and alto saxophone. 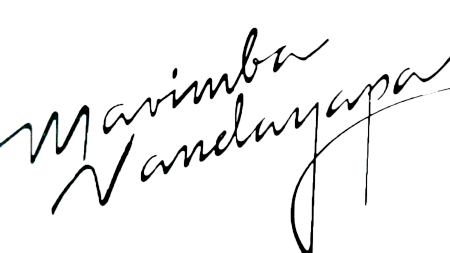 n 1956, he founded the Marimba Nandayapa Ensemble, bringing the traditional marimba to the concert stage. 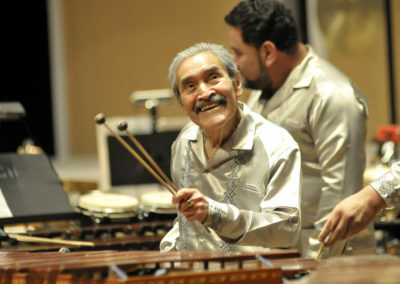 Since the beginning to our days, Zeferino and his group have taken the Mexican marimba tradition to more than 50 countries in Europe, Asia, and the American continent, where they have enjoyed success in such recognized international festivals & concert venues such as the Cultural Olympic games in Münich, Germany (1972) and Montreal, Canada (1976); Musical Youth International congress Zagreb, Croatia (1979); Bregenz am Bodense music festival in Austria (1984); P.A.S.I.C. 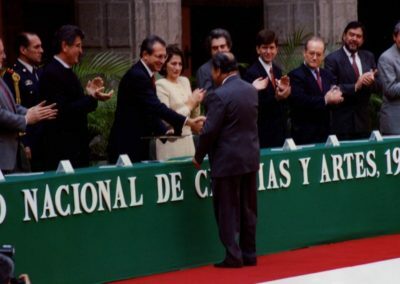 (1988 & 1995); “Expo 92” in Seville, Spain; “Book fair” in Frankfurt, Germany and the UNESCO Cinema hall in Paris, France (1992); The World Economic Forum in Davos, Switzerland (1993); Omiya Sonic City Hall in Japan (1996); The Schleswig-Holstein Music festival in Germany (2000); The Purcell Room in London, UK (2001); The “Black Diamond” of the National Library in Copenhagen, Denmark (2007); Marimba 2010 International Festival & Conference in Minneapolis, USA (2010); among others. 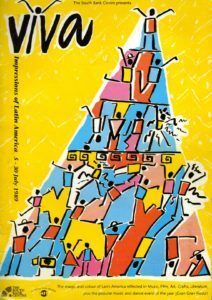 Between 1990 and 2008 they toured extensively in Japan, U.S.A. and Denmark. 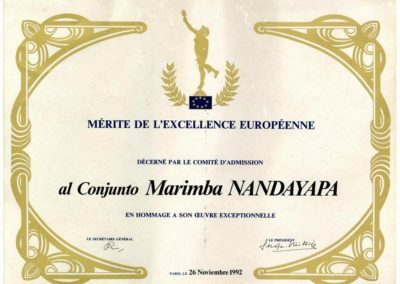 Marimba Nandayapa is the only Mexican Marimba group which has performed twice at the Carneghie Hall in New York (1973 & 1976). 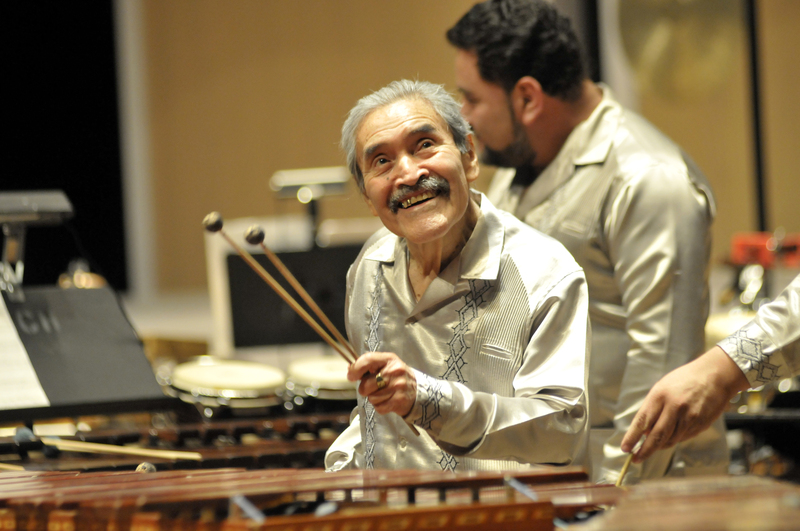 They are also unique in teaching Mexican marimba in several music conservatories and universities in U.S.A., Japan, Europe and Latin-America. 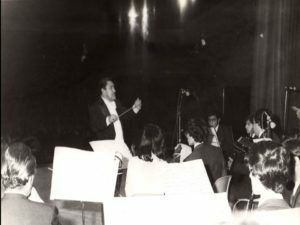 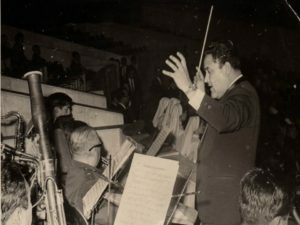 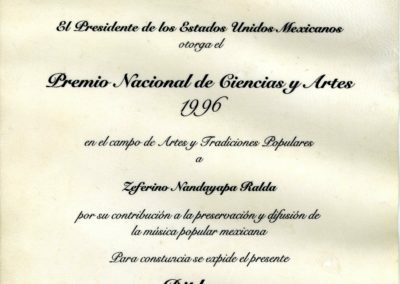 Mr. Nandayapa participated with the most important symphony orchestras in Mexico, performing works that have been written and dedicated to him, as well as his own compositions and arrangements. 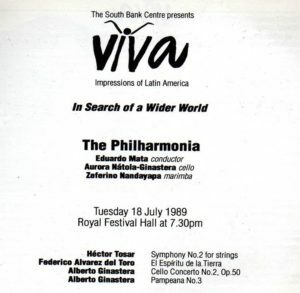 In 1989 he was soloist with the Royal Philharmonia Orchestra under the baton of Eduardo Mata at The Royal Festival Hall in London, UK and in 2000 with the Madrid community Orchestra at the Madrid Municipal Theater, as well as the Fine Arts Palace in Mexico City. 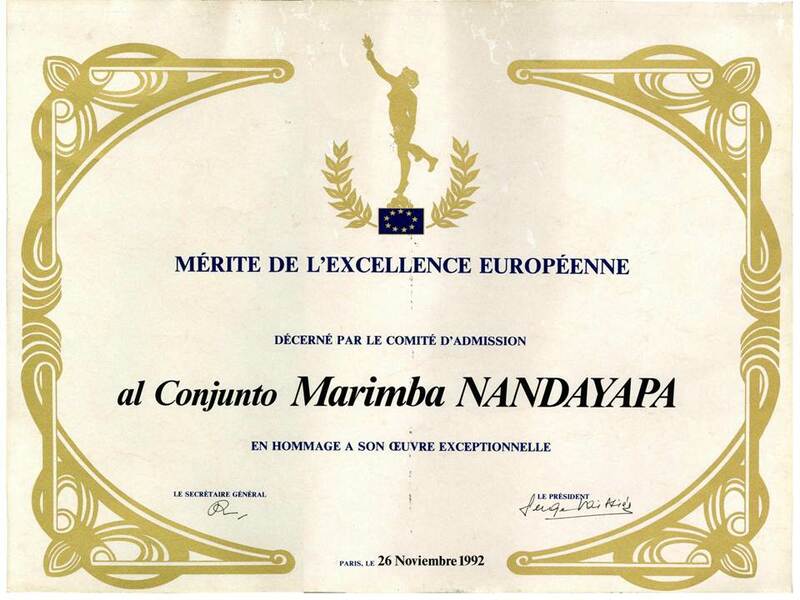 Marimba Nandayapa have made over 70 recordings of including those for overseas for stamps: Audivis (France), Winter & Winter (Germany) and King Records (Japan). 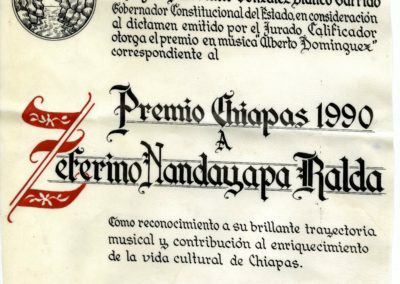 As a recording session artist, Zeferino Nandayapa participated in countless recordings with several famous Mexican artists. 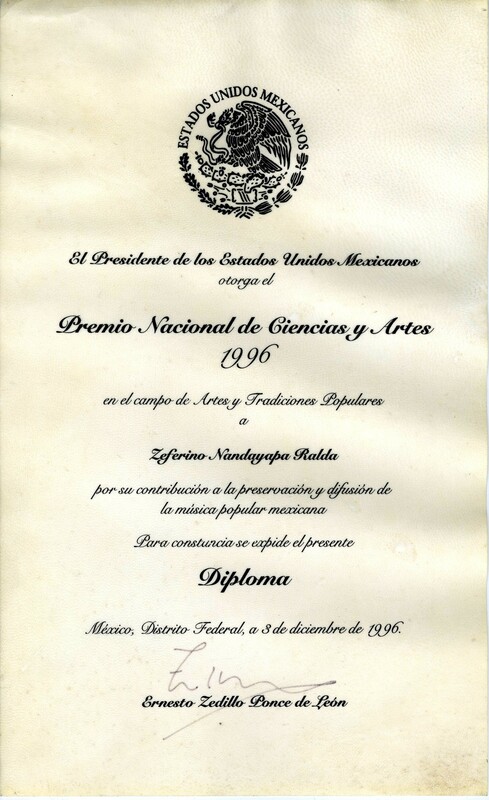 Zeferino had been recognized with numerous awards both nationally and internationally, like The “Golden Tumi” in Lima, Perú (1959), The Peace Medal award from the United Nations Organization in New York (1977), The European excellence award in Paris, France (1992). 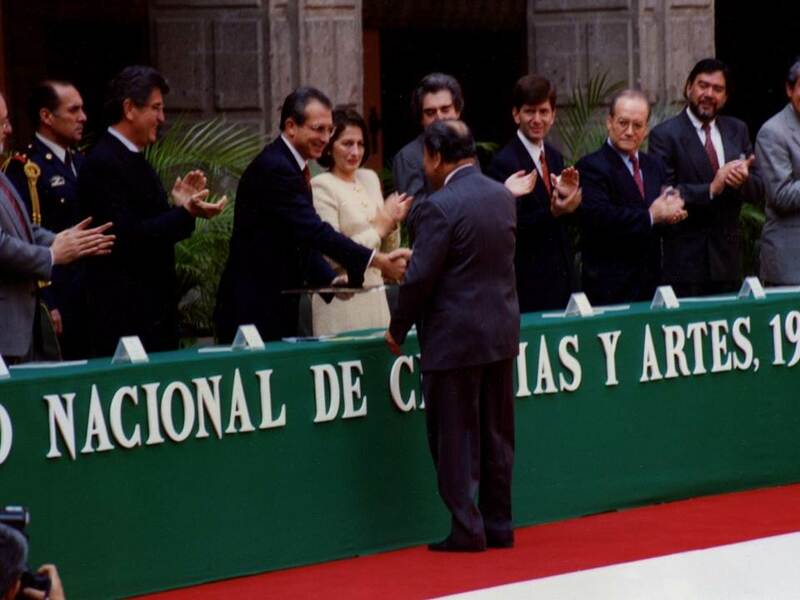 He was the recipient in 1996 of the National Arts Award in Mexico (The highest prize for Mexican artists, gave by the Mexican president Ernesto Zedillo). 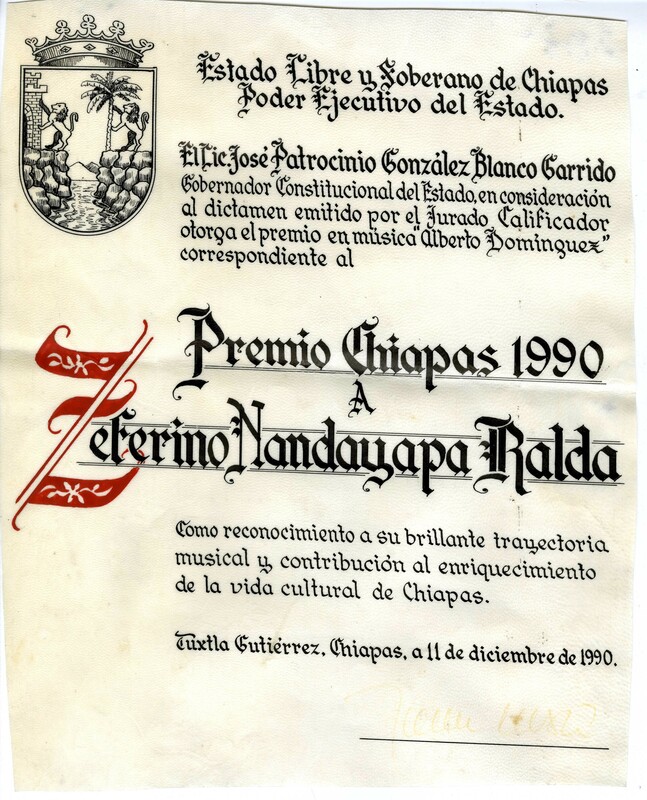 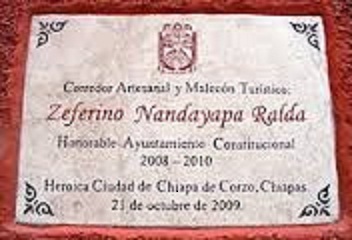 In 2004, he received a prize from the Belgian percussion society and in 2009 he became an emeritus creator of the national system of art creators from Mexico. .
Zeferino Nandayapa passed away on 28th of December 2010, One day after his death, he received a public tribute from the governor of Chiapas, and all the social-media covered nationally the new. 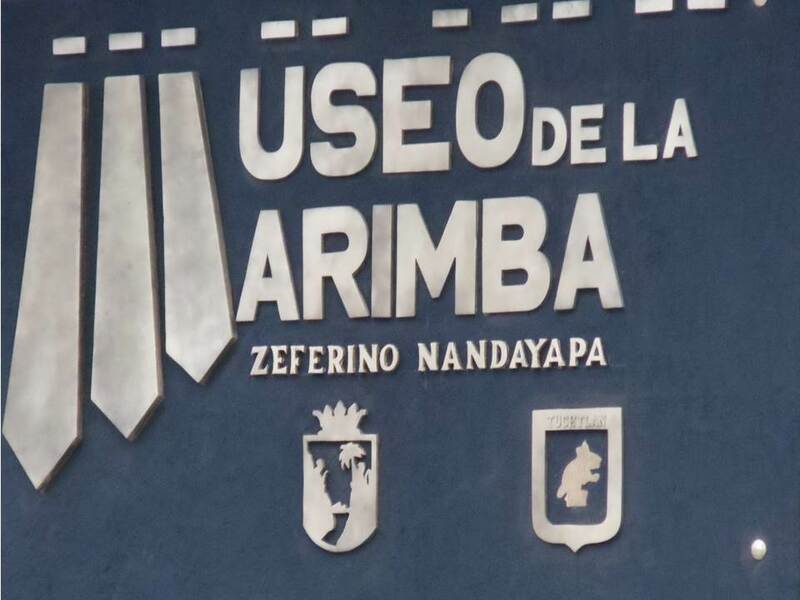 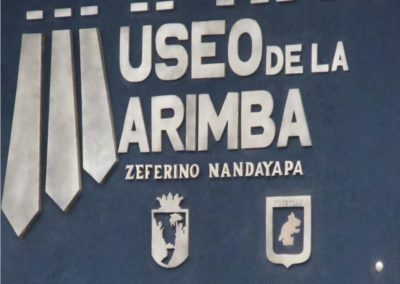 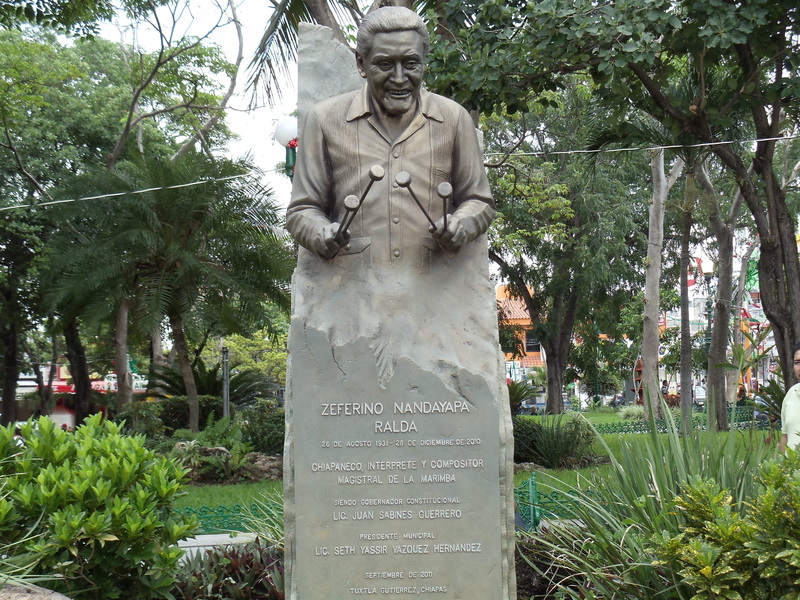 During the year 2011, he received several “post-mortem” recognitions like a National Hommage at the Fine Arts Palace in Mexico City, The marimba museum of Tuxtla Gutierrez became named on his honor and two busts and one statue were raised in Mexico City, Tuxtla Gutierrez and Chiapa de Corzo, Chiapas. 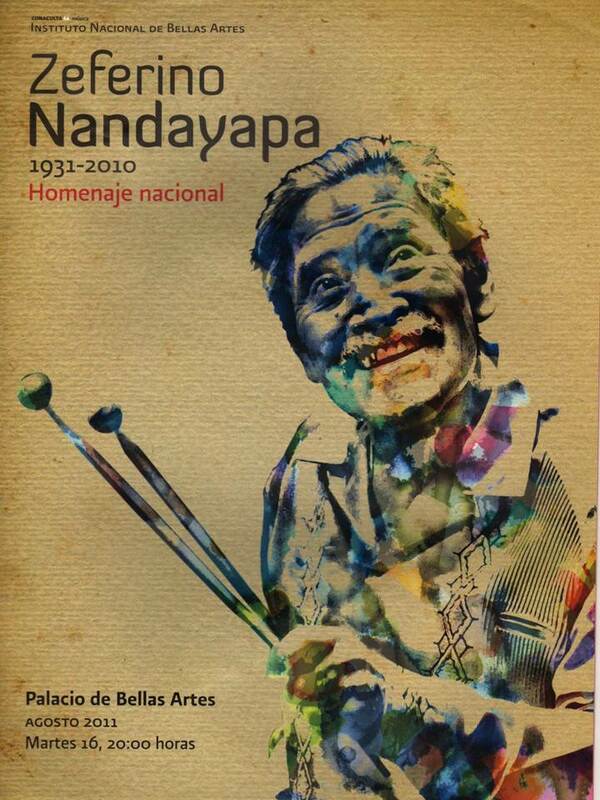 Zeferino Nandayapa’s legacy continues, since the year 2011 to present time, Marimba Nandayapa Ensemble members are his three sons Javier, Oscar & Norberto Nandayapa and two important representative musicians from the marimba tradition from Chiapas: Sandra Moreno & Eduardo Hernandez. 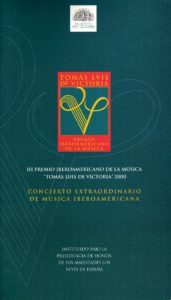 They have performed in several concert venues and international festivals in Mexico, and as soloists of the most important Mexican symphony orchestras. 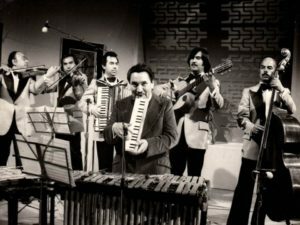 They recorded part of the film-soundtrack “Coco” produced by Pixar animation studios in 2017. 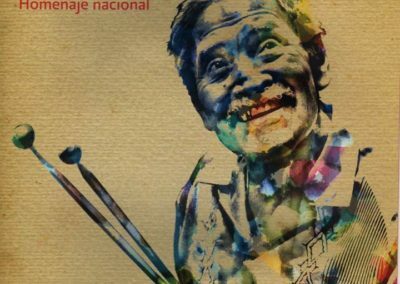 Mexico’s most important group of its kind and one of the most recognized marimba ensembles of the world. 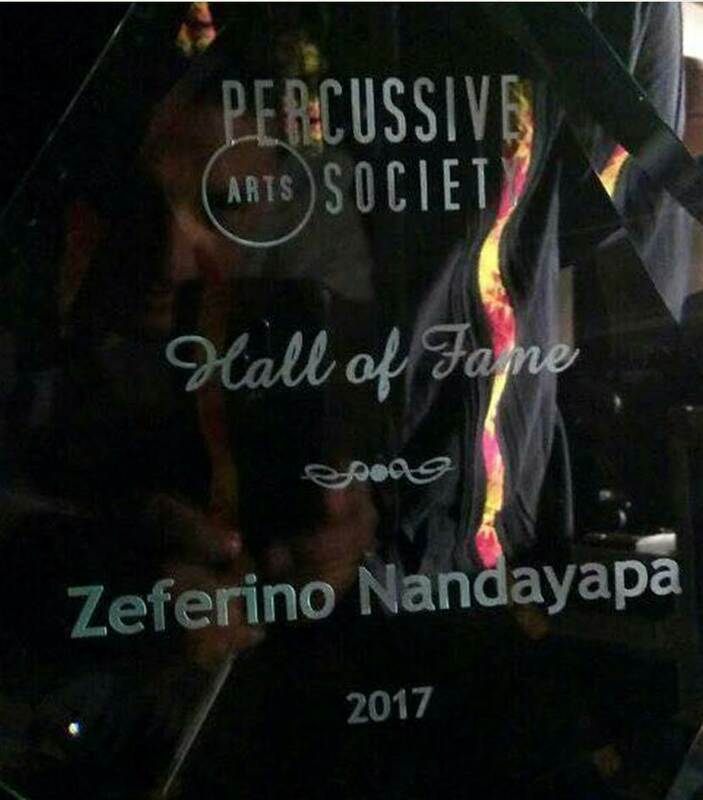 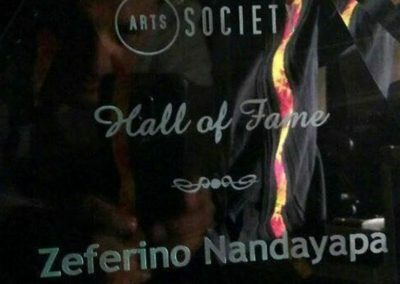 In November 2017, Zeferino Nandayapa was inducted to the Percussive Arts Society Hall of Fame in United States.